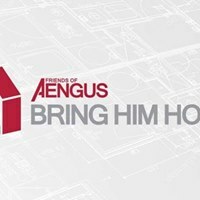 Well here is a challenge: In Aid of Friends of Aengus. Saturday 25th May 2019. Swim 750m, Run 5Km Road/Trail. Individual or team entries available. Glencar Teashed is open the whole day and will take care of soup, tea and coffee afterwards, there will be bucket, for people who are cheering and watching, to donate in aid of Friends of Aengus.